We vary the tours each year. Relive the legends of Homer and the tragedies of Sophokles; walk in the footsteps of Pausanias and wonder at the glory of the works of Praxiteles and Phidias; enjoy the breathtaking scenery as we travel through olive clad mountains and fertile plains where you half expect to glimpse Herakles on one of his labours. Our unique tours offer a chance to see all the major archaeological sites of ancient & classical Greece as well as taking you off the beaten track to less visited but fascinating places. In just a week we journey through over 3,000 years of Greek history, from Minoan to Byzantine, as well as enjoying the vibrancy of modern Greece. We do two tours a year, one in May/June and one in September/October. 1st to 9th October 2019 Bronze Age Aegean: Santorini and Crete . Two nights on Santorini visiting Ancient Thira, Akrotiri, the Pre-Historic Museum plus a wine tasting at sunset. Three nights in Iraklion visiting Knossos, Ayia Triada, Phaistos and Malia, three nights in Ayios Nikolaos visiting Gournia, Lato, Spinalongha. Cost: £1,360 per person sharing, £1,605 for a single room. Note: We plan to participate in the Nemean Games in 2020 (June 25th to 28th). You can run in the race, or offer your services as a slave or other official or simply be a spectator. We will stay in Nauplion for a week. Let Mary or Jane know if you are interested. Tour costs include all travel in Greece, comprehensive information on the history, sites & museums, and all hotel accommodation (B & B, en-suite). It does not include entrance to sites and museums or lunch and dinner for which you should allow about £200-250. The tours are organised & led by sisters Jane Maw Cornish and Mary Kehoe. Travel to Greece, with Aegean or British Airways, is booked through Thornton's Travel and travel and accommodation in Greece is arranged by Christos Patakis of Anassa Travel, Athens, with whom we have been working since 1995. The Greek-0-File is a publication written and edited by Sylvia & Terry Cook. It is packed with articles on every aspect of Greece and Greek life. 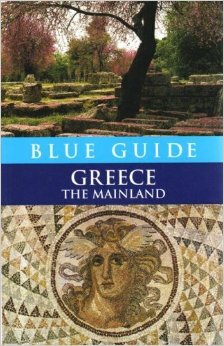 You will find a lovely description of our tour of the Peloponnese in October 2003 in Greek-o-File Volume 3 and of the 2005 Northern Greece tour in Greek-o-File volume 5. 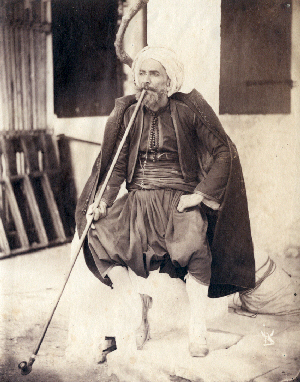 Volume 8 has 3 articles of particular interest: the story of the photographs of Corfu taken by Jane & Mary's great great grandfather in 1858, some recipes of his wife's (including Wild Boar) and an article by Judith Hepper about taking children (including Jane and Mary's grandchildren) to the ancient sites of Greece. Join the Damaris group on Facebook!